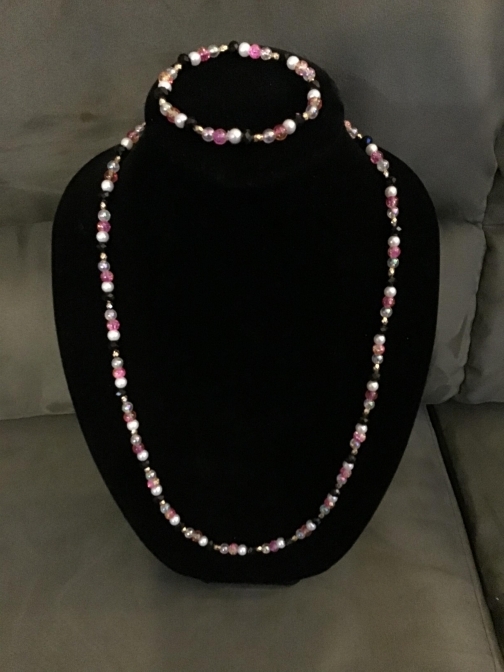 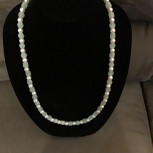 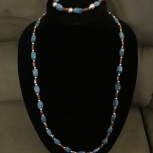 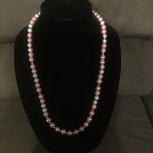 This is a 28 inch multicolored necklace with black, pink and white Swarovski Crystal Beads. 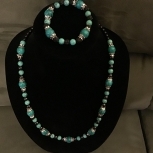 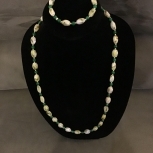 The necklace comes with a matching bracelet. 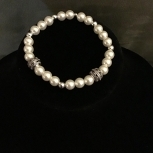 The bracelet measures 8 inches or less.